Wear Abouts: Pick My First Day Outfit! Pick My First Day Outfit! First things first. I'd like to introduce you to my first ever clutch!! Clutches seem to be staples in nearly every blogger's wardrobe, so now I've finally joined the party! Honestly, I can't think of a better way to start a collection than with galaxy print. It's been a staple in my summer wardrobe (and will continue to be a staple into the fall and winter). Next thing you know I'll be wearing galaxy on galaxy! 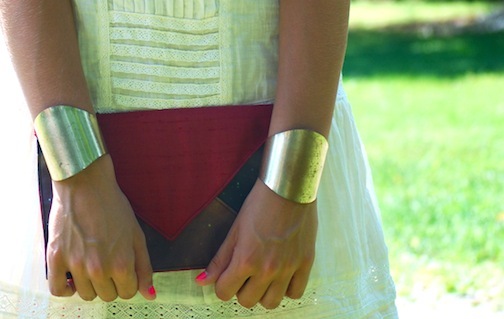 If you want to own this cute little clutch (there are many color options!) just head right over here and pick one out. Oh yeah, and it doubles as an iPad case! This dress is one of my favorite purchases from my back to school shopping spree. It's from H&M and it's so my style! After lots of thinking/procrastinating/standing in my closet in frustration, I have finally narrowed down my options for the first day. While I don't know how I want to accessorize quite yet, or what shoes I'll wear, I know that I want to wear a dress. And it's going to be one of these two! Problem is, I can't decide. So, I'd love it if you guys decided for me! Vote in the poll below!! Which dress should I wear on the first day of school?? Which dress should I wear on the first day of school? That clutch is so COOOL. And it has a galaxy print on it?!? !11 dude, that's just. That's just too much awesome to handle. I love how you let it shine by keeping everything else pretty simple. Your wonderwoman cuffs are blowing my mind. This simple dress definitely got stepped up with your accessories - I love it Rory! The snazzy sandals, cuffs, and cool sunnies were perfect additions. I love the white dress, I hope you wear/wore that one on your first day! Nice cute outfit! :) We love it! i am the same way- i don't own a single clutch! i am constantly on the subway and i just need to have my bag attached to my body... but i want one! this one! Hello, I absolutely loved the white dress look, from your hair style to your sandals, so well put together, and the details, cuffs and amazing clutch and matching earings, very very stylish! 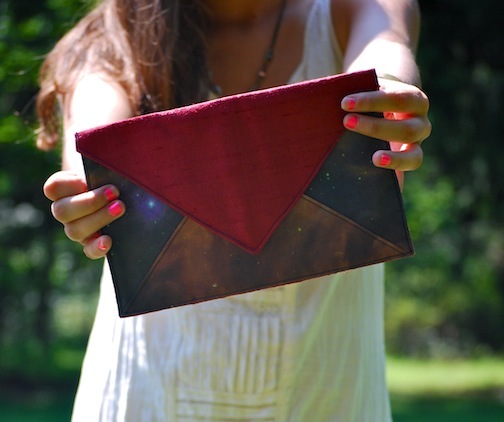 I am myself DIY girl, so now your clutch inspired me to make something (not exact version) but clutch with galaxy print. That white dress looks cute on you! I love the white one! Very pretty! I like the floral dress! Great Blog. Would you like to follow each other? Honestly, you'd great in both outfits. I really love them both. I have to go with the white dress! 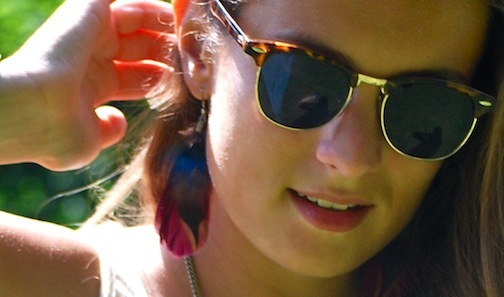 looks so effortless and beautiful:) love your sunglasses too, will def check out the men's section more!